Incredibly unprofessional! Clearly didn’t want to help me because of the time despite the fact that I waited an hour anda half. He kept laughing at me instead of trying to solve the problem. Would never recommend. Incredibly unprofessional! Clearly didn’t want to help me because of the time despite the fact that I waited an hour and a half. He kept laughing at me instead of tryingto solve the problem. Would never recommend. With 30 years of experience as a general dentist and an oral surgeon, Dr. Yakuboff is extremely qualified to improve a wide range of services - from preventive care to root canals. Patients appreciate the fact that they don't have to wait to be referred to another office for most oral surgery, such as dental implants and wisdom teeth. Sophisticated equipment, such as panoramic X-ray and on-site laboratory, contribute to the practices high level of efficiency. 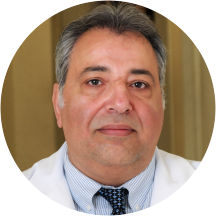 Dr. Yakuboff graduated and received his Doctor of Dental Surgery from the Medical College of Dentistry in Europe and New the York University Dental School. He stays current by attending seminars and lectures on new techniques and procedures. SHEL Dental is certified by Adelda Health® Inc. and uses Amalgam Safe® Protection to promote a safer operator environment for both patient and staff. Although Dr.Yakuboff has stellar credentials and much practical experience in dentistry, his greatest asset is his friendly outgoing nature that puts you at ease in his presence. He listens intently to your needs and desires, evaluates your dental health, and carefully explains your options. Was not professional in my humble opinion. Will not be going back. The first time I came here he was really nice, the second time I came in because my tooth was cutting my tongue. He told me that that was impossible and that he did not see a reason for that tobe happening even though I had a huge painful cut on the side of my tongue. He then left me in the middle of my appointment to argue with someone who was yelling at the front desk. Horrible service. He is a great dentist. He didn't take my insurance and he still tried to help me. I had to bring my newborn with me and he even let him sleep on my chest while he examined me. I would totally recommend ! I enjoyed my visit. Dr Avi is a great dentist and the staff are nice and attentive.They answered all my questions and the overall visit was incredibly quick and efficient. I highly recommend them! The office was nice and clean . Easy parking. The staff spoke Spanish making it easier to communicate.. The dr took his time explaining .